The region of Tuscany is one of the most famous wine regions in the world, producing some of the tastiest wines around. If you are knowledgeable about wine, you will also know the importance of keeping it at the right temperature, which is cooled for white wines and most roses, as well as at room temperature for red wine. Maintaining this temperature can be challenging, particularly in restaurants, where there are often significant temperature fluctuations between the different areas within the establishment. 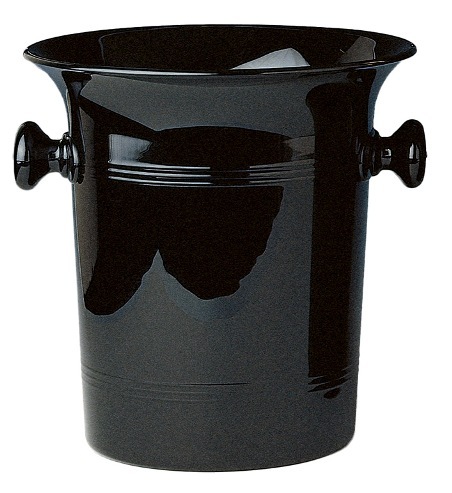 Our short Tuscan bottle cooler can help you resolve this issue, either in order to keep a bottle of white or rose wine cool, or to ensure a red wine does not warm up too much on a balmy summer night of dining al fresco. 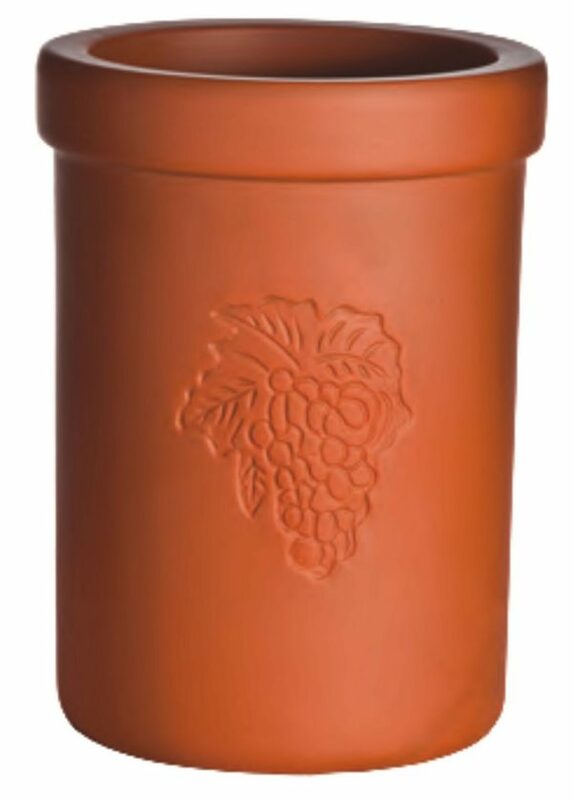 The bottle cooler is a short, Tuscan, round design, made from genuine terra cotta. 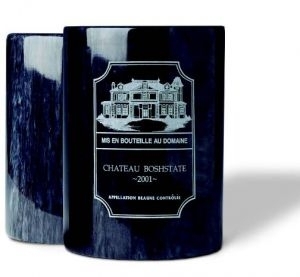 The diameter is 5", and it is 6 1/2" high, comfortably covering the body of a wine bottle. 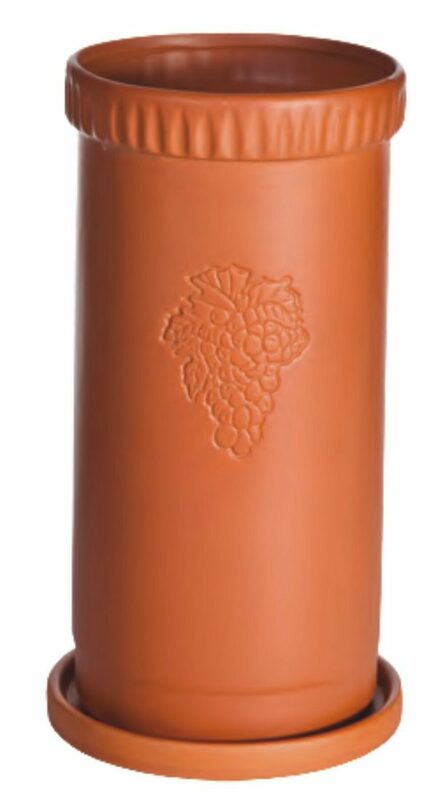 On the front of the bottle cooler, you will see an etched bunch of grapes, to further emulate that Tuscan feel. This product is particularly popular with restaurateurs who look to create an elegant restaurant that feels like the Mediterranean. Because of the terra cotta material, however, it matches any type of decor, from the ultra modern to the vintage chic. This is one wine cooler that you will be proud to have on your tables, and your customers will love it as well, admiring its intricate details and overall beauty and efficiency.